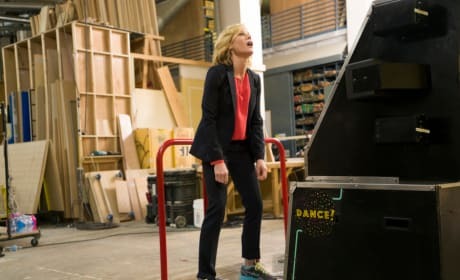 Things get complicated for Claire at work on Modern Family. "Double Click" is the 22nd episode of the show's seventh season. Cam and Phil geek out over seeing their favorite author on a train. "Crazy Train" is the 21st episode of the show's seventh season. Cameron and Mitchell offer advice from the prom on Modern Family. "Promposal" is the 20th episode of the show's seventh season. 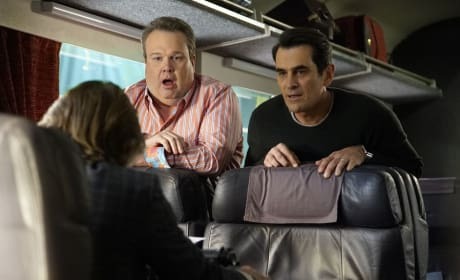 Mitch and Phil head to a movie together on Modern Family. "The Party" is the 18th episode of the show's seventh season. Claire tries to hide her attractive yoga instructor from Phil on Modern Family. "The Cover-Up" is the 15th episode of the show's seventh season. Mitch and Cam are upset when they feel like they are treated like second class citizens at one of Pepper's parties on Modern Family. 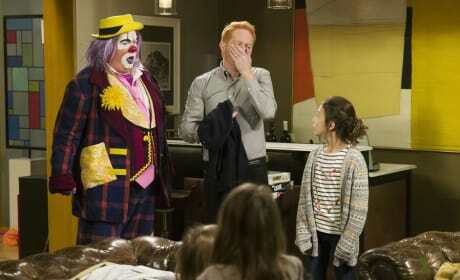 Cam and Mitch do everything they can to save Lily's birthday party on Modern Family. "The Storm" is the 14th episode of the show's seventh season. 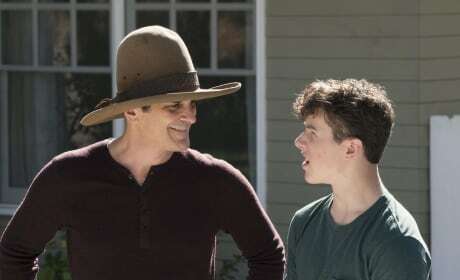 Cam and Mitch go overboard to get good reviews from their renters on Modern Family. "Thunk in the Trunk" is the 13th episode of the show's seventh season. Phil and Luke refuse to get rid of any of their stuff when Claire decides to declutter on Modern Family. 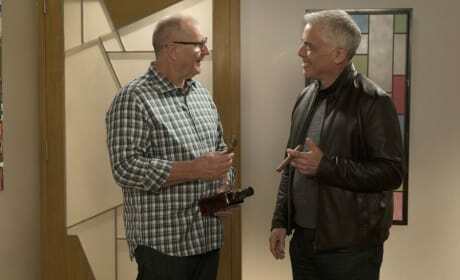 "Clean for a Day" is the 12th episode of the show's seventh season. Claire and the kids try to get the ducks to leave the nest on Modern Family. "Spread Your Wings" is the 11th episode of the show's seventh season.